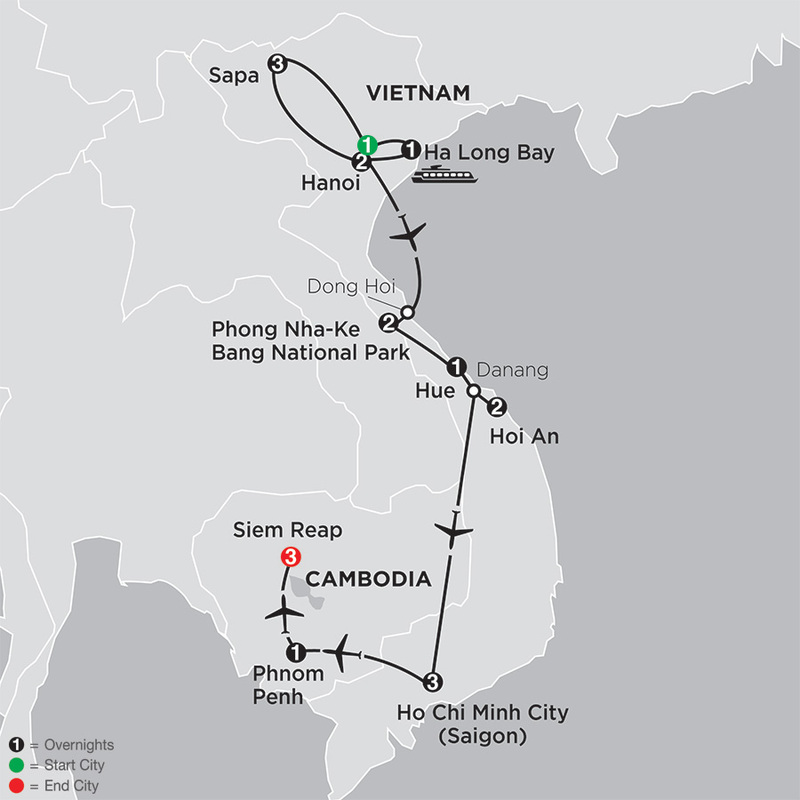 The Cosmos quality, value touring formula makes travel to Asia truly affordable. 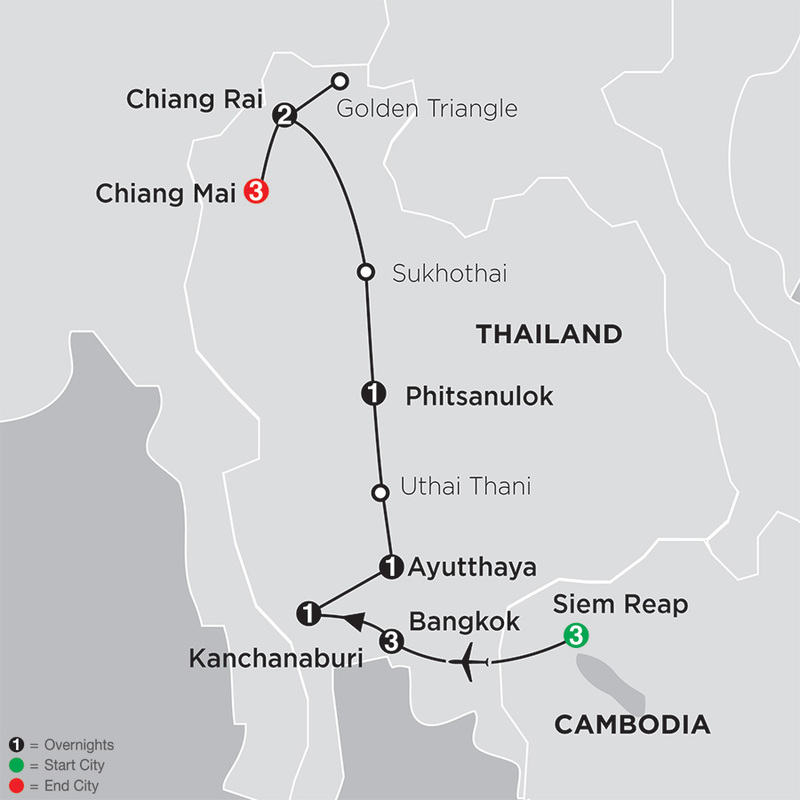 Cosmos' famous low prices—with nearly everything you need in a vacation already included—allow you to visit exotic locations in Asia, like Thailand, China, Japan, Vietnam, and Cambodia, without spending a fortune. 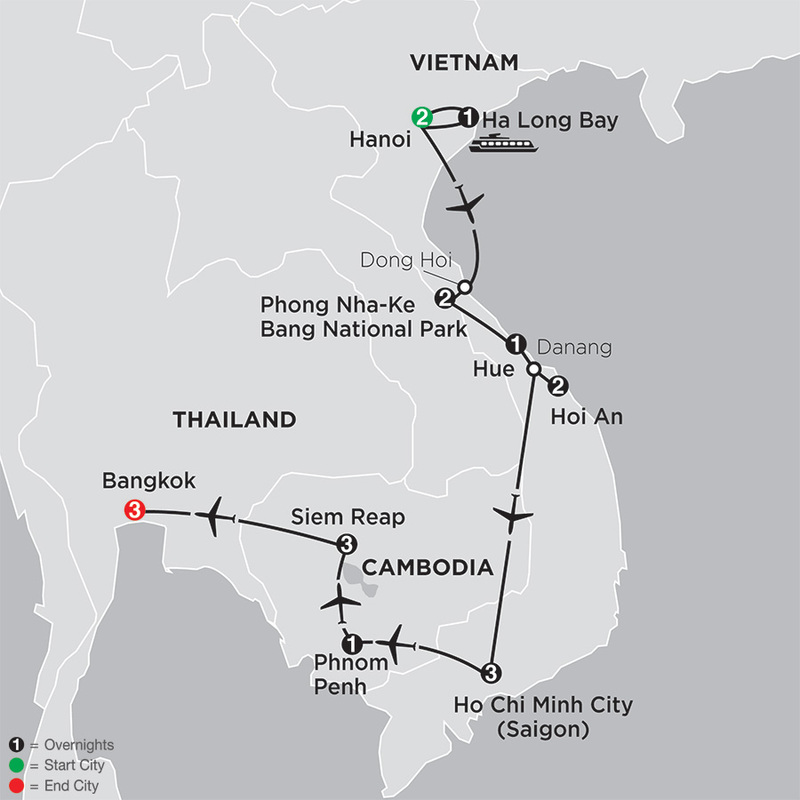 Whether you have always wanted to try on a kimono in Tokyo, explore the Great Wall of China, or cruise on stunning Ha Long Bay in Vietnam, now you can discover Asia’s most iconic sites on a Cosmos Asia travel package. On this tour through China, you'll explore some of China's most famous sites and learn about its ancient and current culture. 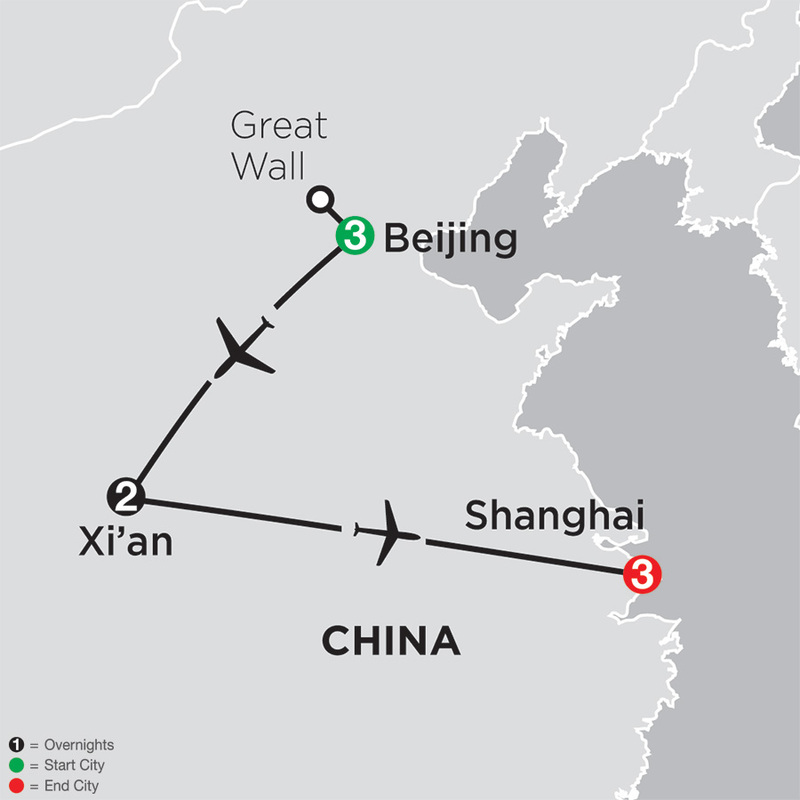 You'll start with three nights in Beijing, end with three nights in Shanghai, and spend two nights also in Xi'an. A highlight of this China tour ...Read More. 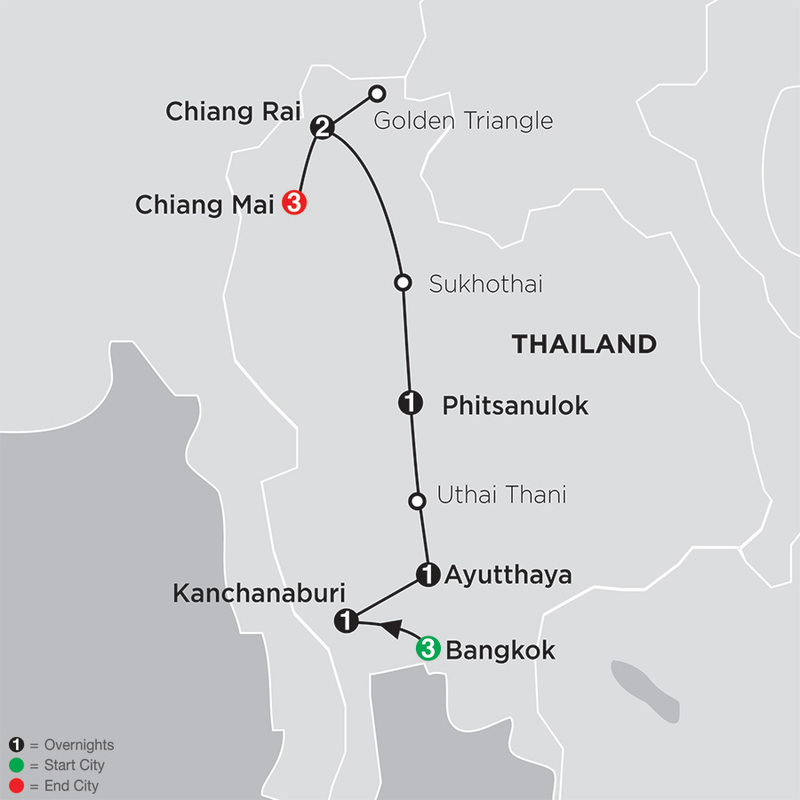 Highlighting Thailand’s rich history, fascinating culture, and religious monuments, this Thailand tour includes overnights in Bangkok, Kanchanaburi, Ayutthaya, Phitsanulok, Chiang Rai, and Chiang Mai. 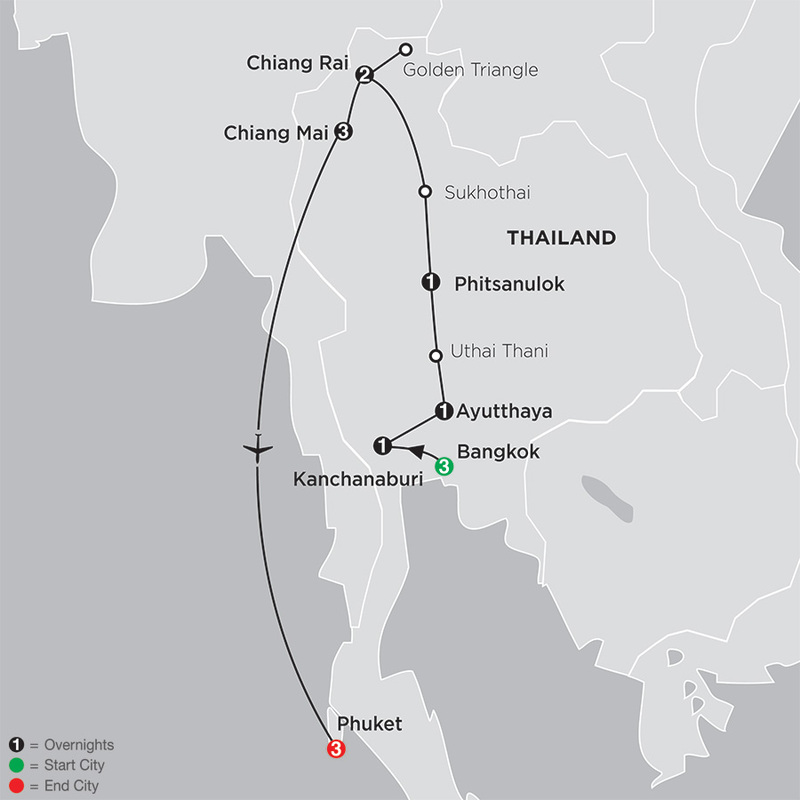 This tour through Thailand includes visits to some of the cities that have ...Read More. 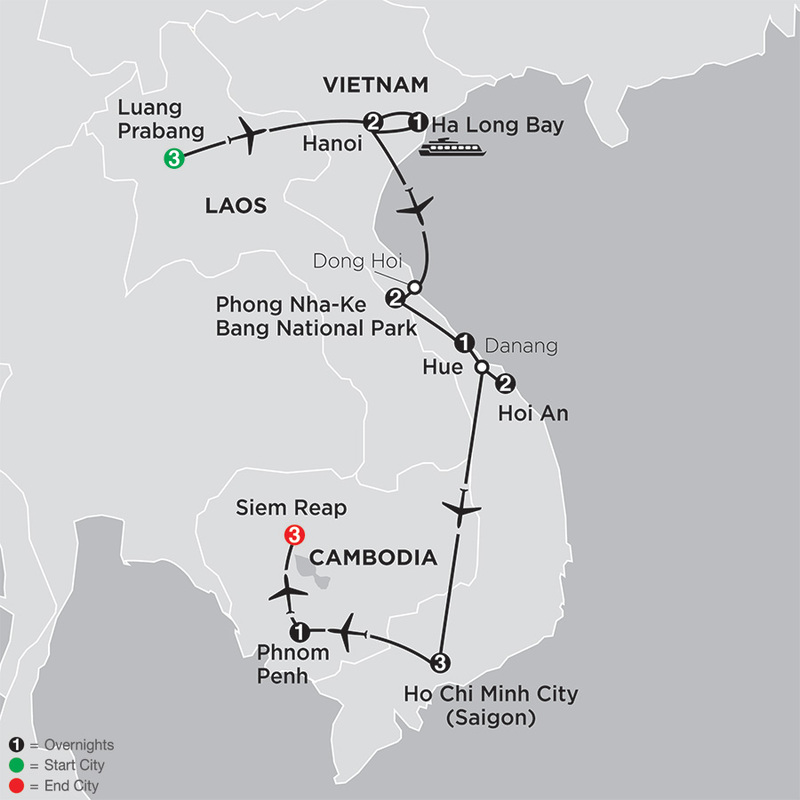 With its long history, interesting culture, and gorgeous scenery, Vietnam offers something for everyone. 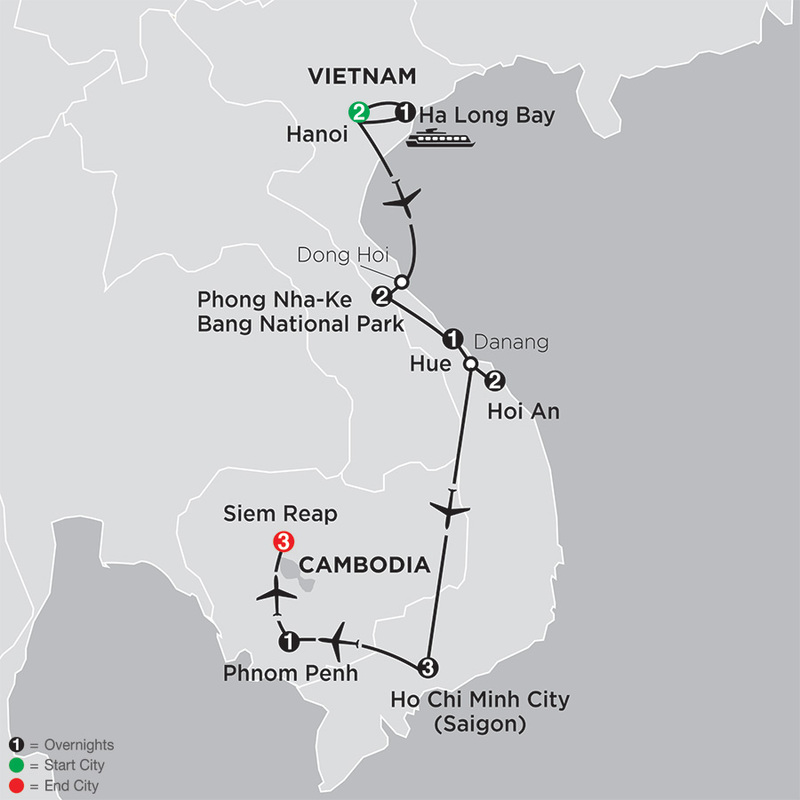 On this Vietnam tour, you’ll overnight in Hanoi, Ha Long Bay, Phong Nha National Park, Hoi An, Hue, and Ho Chi Minh City. 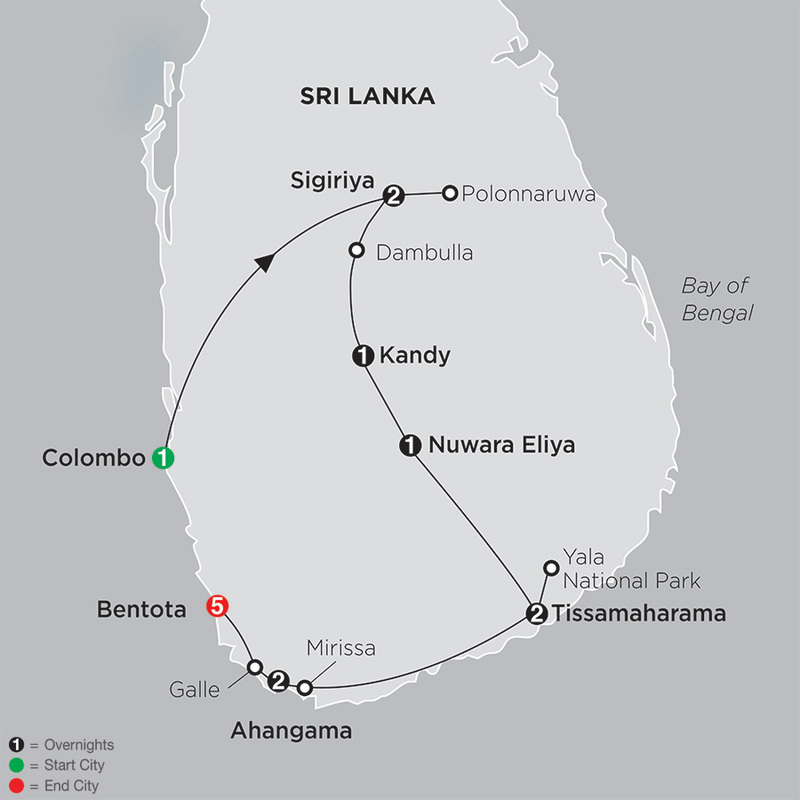 Sightseeing tours in the cities feature the must-see ...Read More. 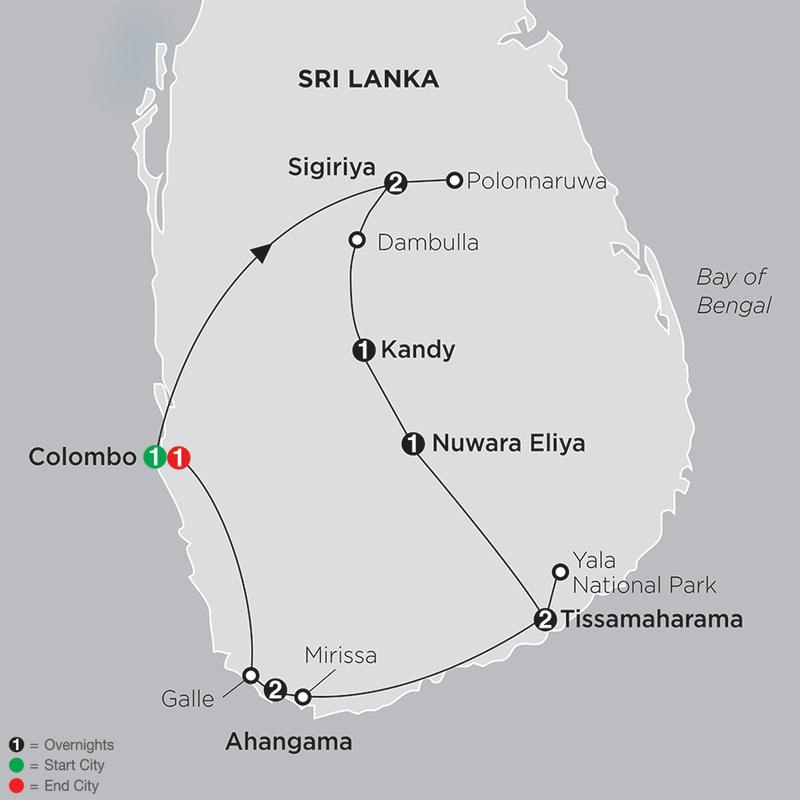 One of the world’s top five biodiversity hotspots, Sri Lanka offers not only opportunities for seeing wildlife in their natural habitat, but also stunning landscapes, beautiful coastlines, the world’s finest teas, and lots of historic sites with a culture dating back over 2,500 ...Read More. 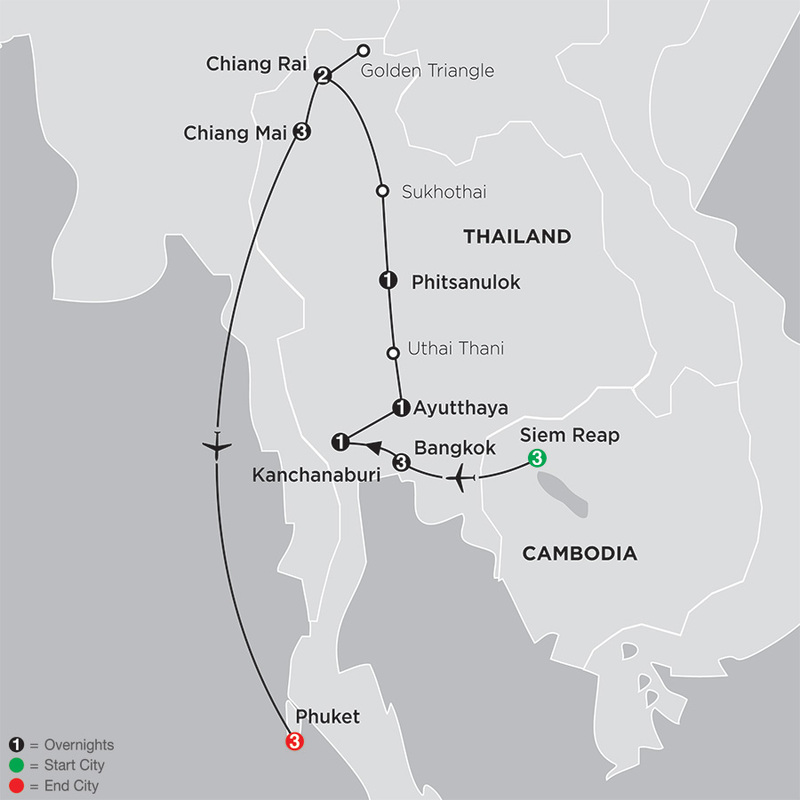 Highlighting Thailand and Cambodia’s rich histories, fascinating cultures, and religious monuments, this Thailand and Cambodia tour includes overnights in Siem Reap, Bangkok, Kanchanaburi, Ayutthaya, Phitsanulok, Chiang Rai, Chiang Mai, and Phuket. Your budget-minded tour of ...Read More. 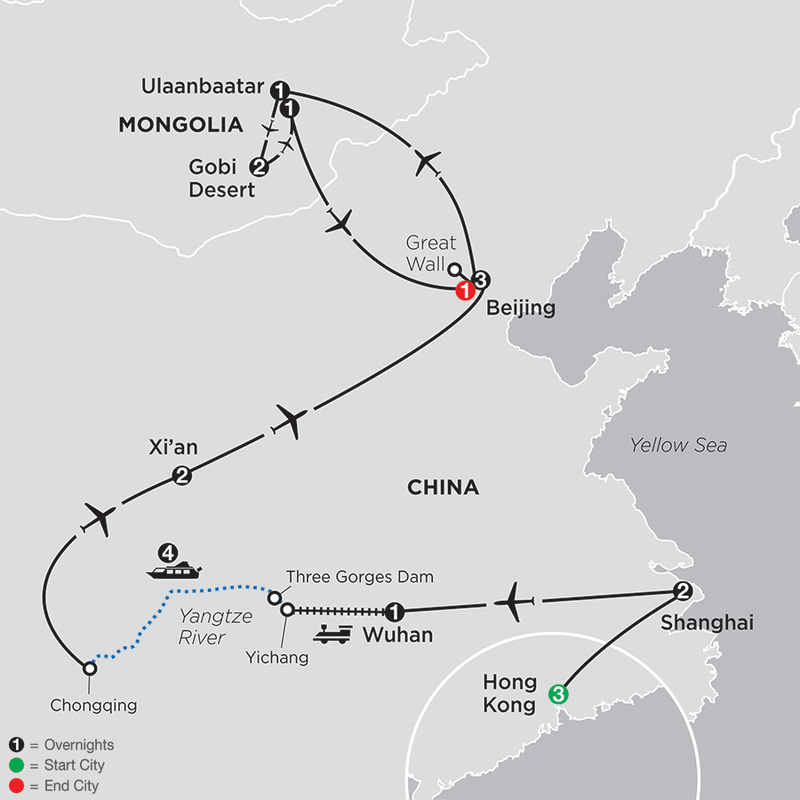 Spend 13 spellbinding days on your affordable tour of China, including a picturesque Yangtze River cruise. 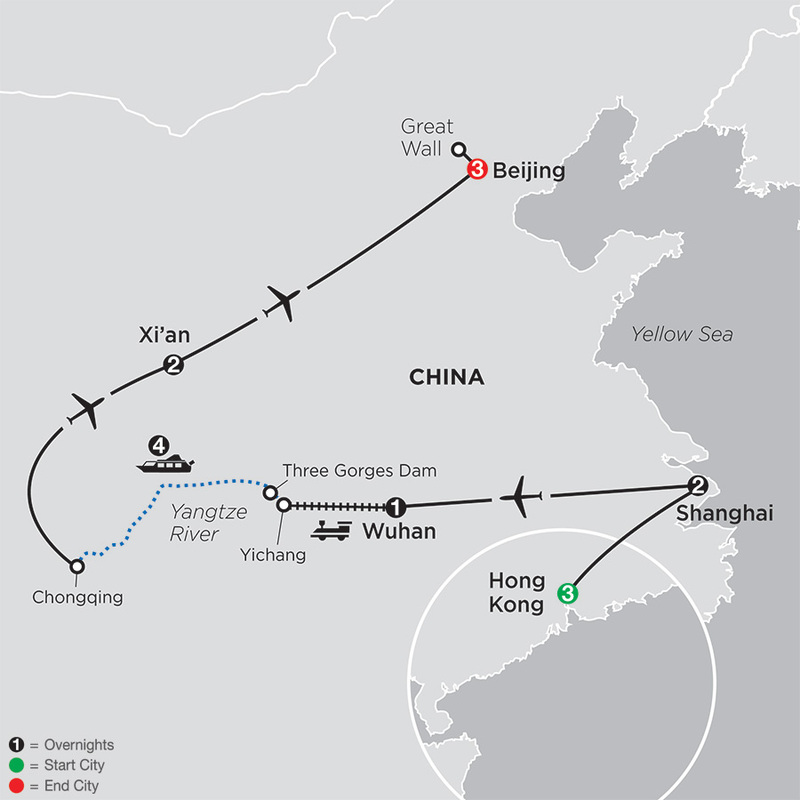 Your vacation in China begins in the exciting city of Shanghai on the Yangtze River delta. You’ll marvel at the exquisite Yu Yuan Gardens and the Shanghai Museum—with works ...Read More. With its long history, interesting culture, and gorgeous scenery, Vietnam offers something for everyone. 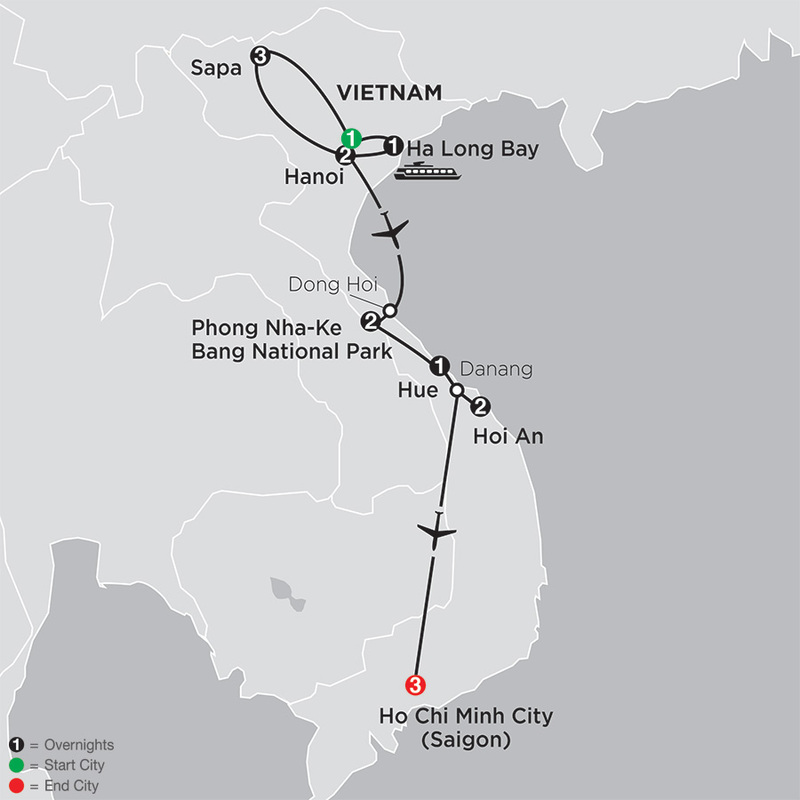 On this Vietnam tour, you’ll overnight in Hanoi, Sapa, Ha Long Bay, Phong Nha National Park, Hoi An, Hue, and Ho Chi Minh City. 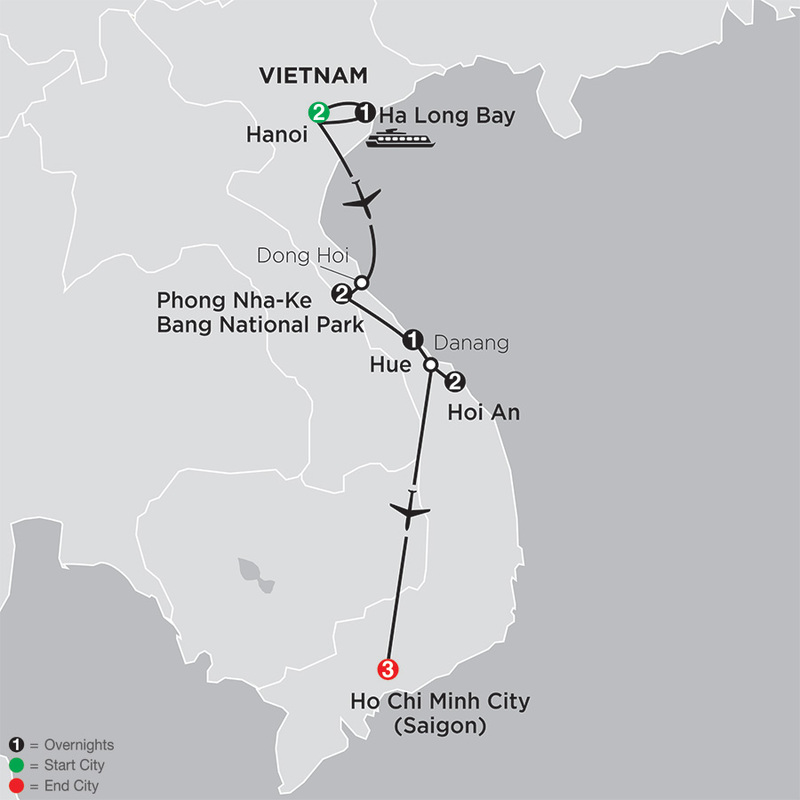 Arrive in Hanoi, then transfer to the ...Read More. This Japan tour is a must for value-minded travelers who enjoy history, beautiful settings, and fascinating architecture. 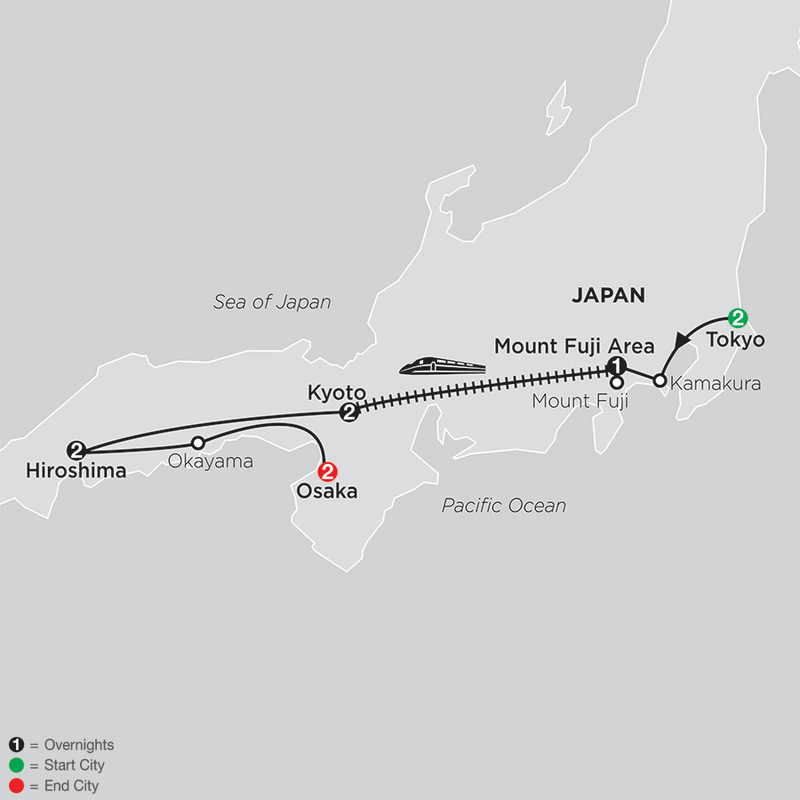 You’ll start in Tokyo, end in Osaka, and overnight along the way in the Mount Fuji area, Kyoto, and Hiroshima. Highlights of this tour through Japan are the ...Read More. 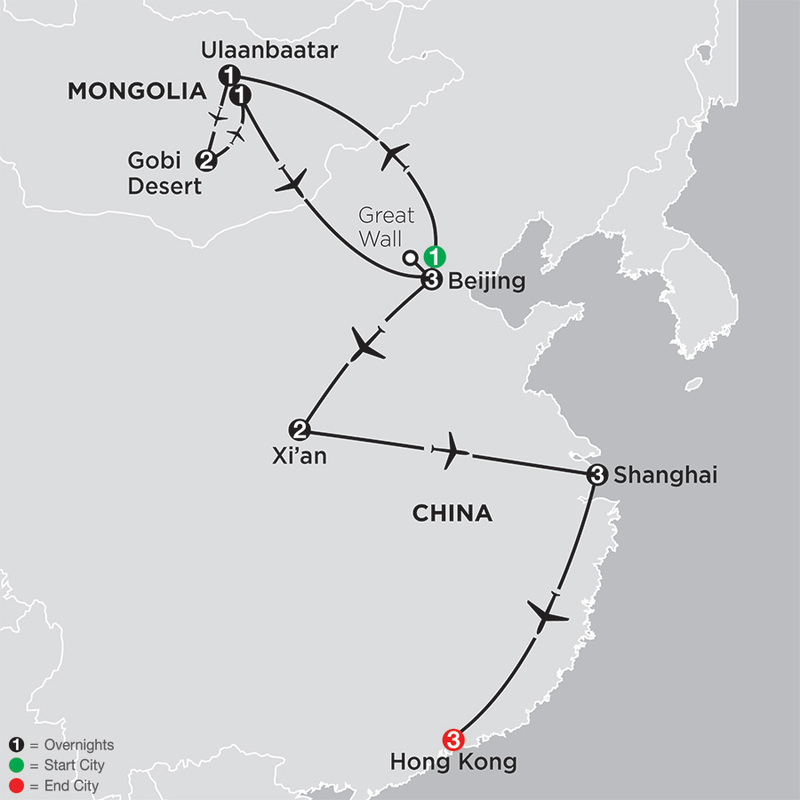 Embark on a 17-day odyssey that includes affordable guided tours in Mongolia and China, with the perfect ending in Hong Kong. 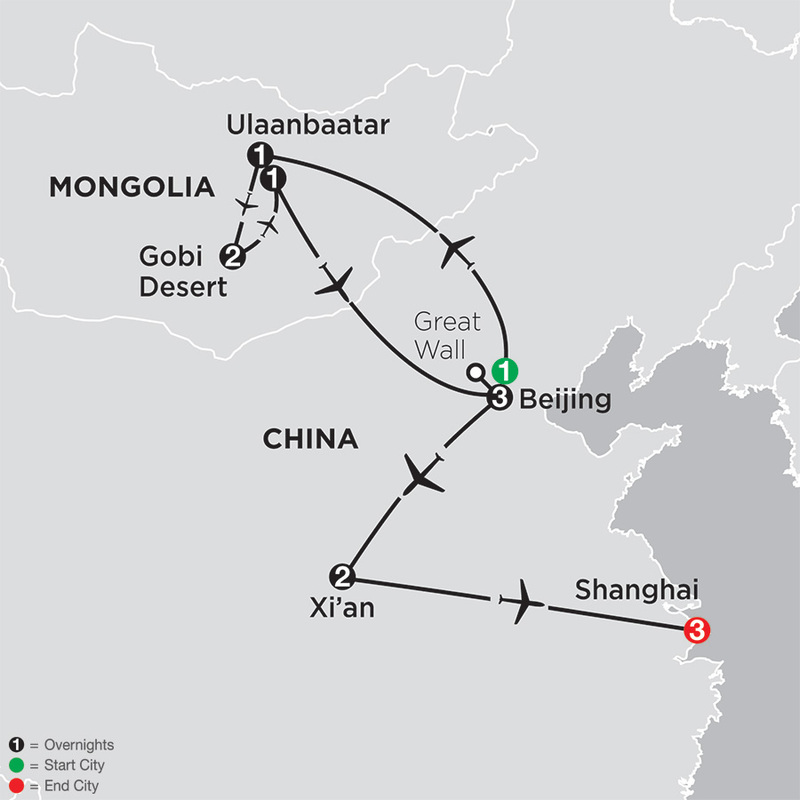 To begin, you’ll fly from Beijing to Mongolia’s capital city of Ulaanbaatar to embark on an adventure in the Gobi Desert. Sand dunes, the Cemetery of ...Read More. 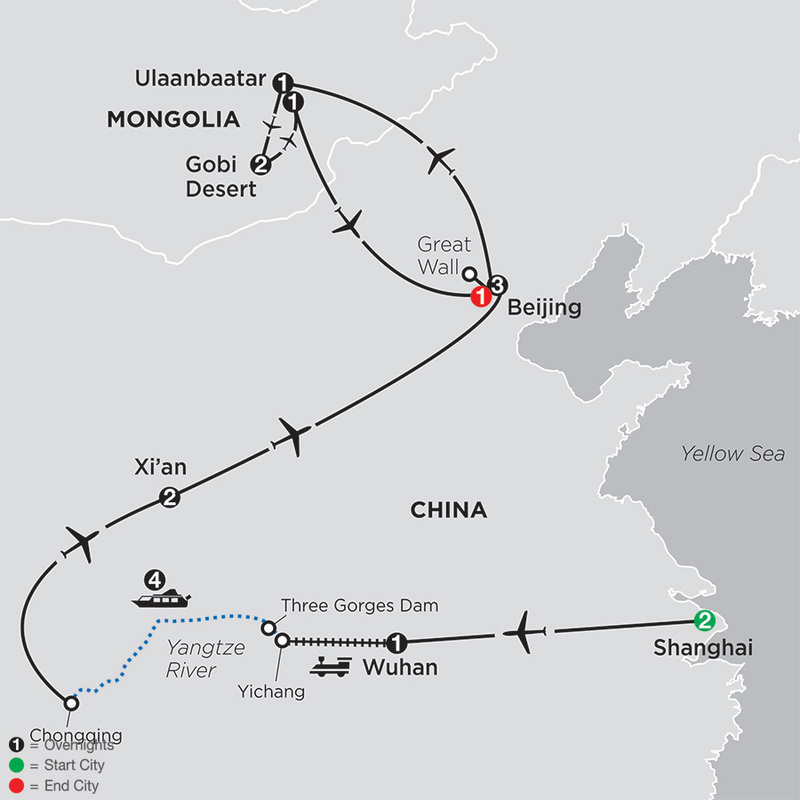 Embark on a 21-day odyssey to explore fascinating landscapes of China and Mongolia on your affordable vacation in Asia. 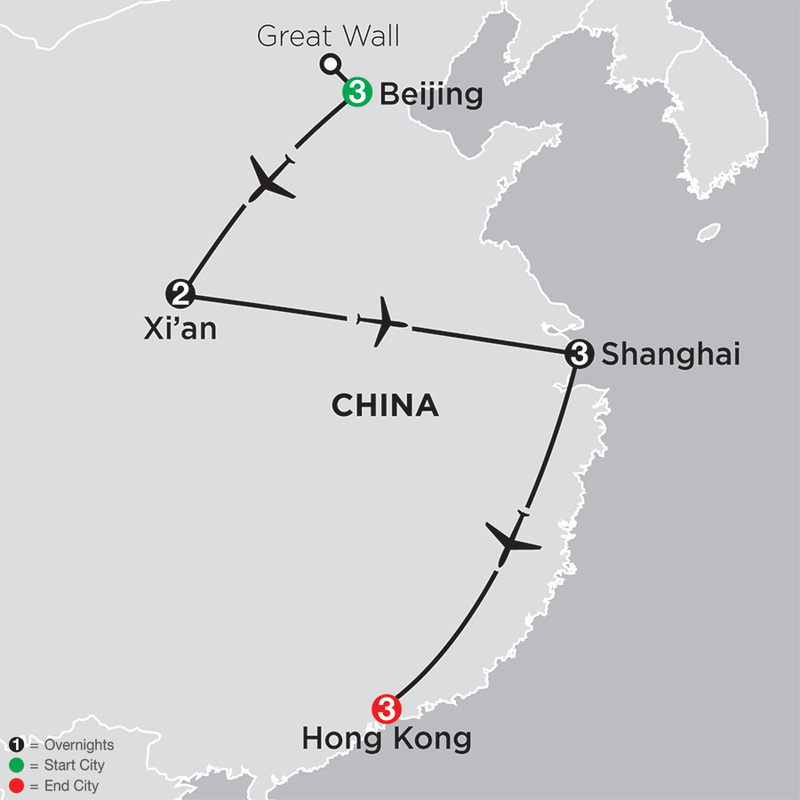 Begin in the fascinating city of Hong Kong for a journey through China’s spectacular destinations. 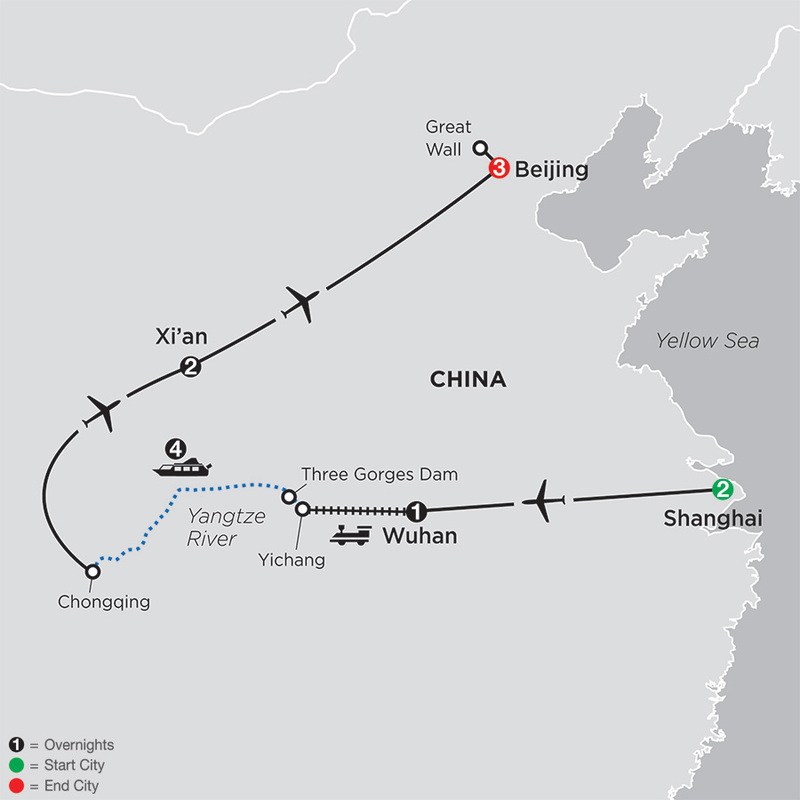 Your affordable China vacation delivers a wealth of ...Read More.